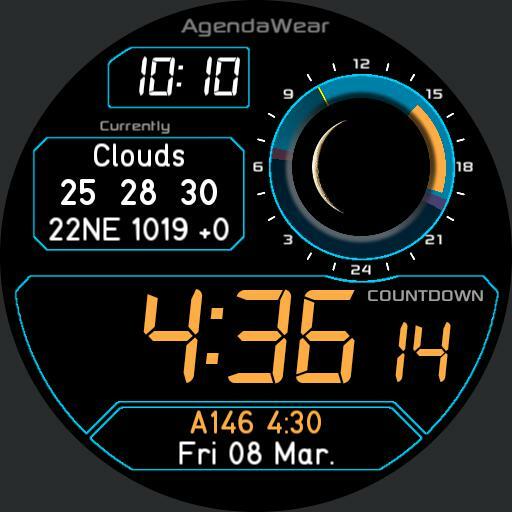 Digital watch with calendar event countdown, and weather charts. Tap left screen to change mode. Tap timer if running to show time. Tap event segments on right display to show details. Last updated 8th Mar 2019. Email comments or requests to efurey at gmail.